Are you confused which destination to explore this vacation? Here’s a quick suggestion for you. 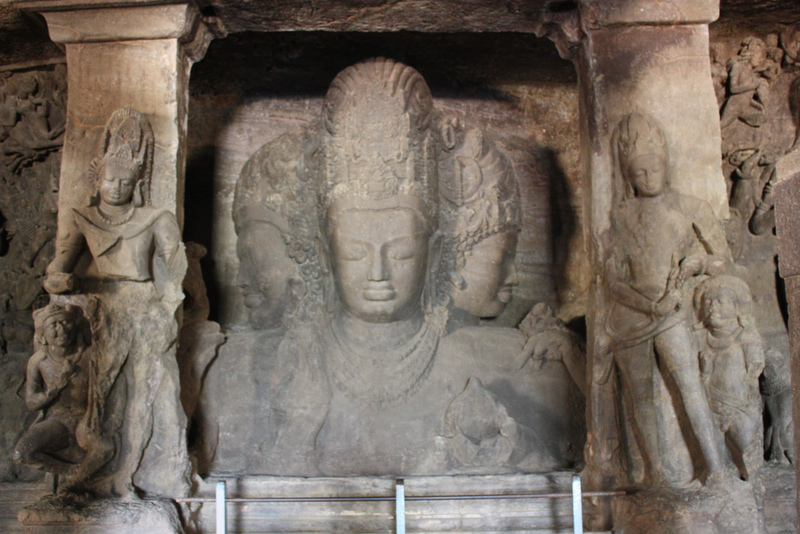 Let me take you about 11 km from Mumbai, to the caves and islands of Elephanta. You must have heard of this UNESCO World Heritage Site, where the caves consist of artwork carved directly from the rocks of medieval India dating back to 5th till the 8th century. Now, let’s explore them in detail. The origin of the caves are still a mystery and no profound history has been identified yet! There are several myths around these rock-cut architecture. Some say, they were built by the Pandavas while others believe Banasura (demon devotee of Lord Shiva) built them, while historians claim these caves are a result of the defeat of Mauryan rulers, based on the excavations of Kshatrapa coins here from the 4th century. However, these amazing rock-cut architecture caves were surrendered to the Portugese by the Gujarat Sultanate in 1534. Are you wondering if elephants resided in these caves? No, but there is a huge elephant statue and hence it was named Elephanta! These caves deteriorated when they came under the British reign during 1661, due to lack of maintenance. There are two segments here – the first one comprises of five Hindu caves while the second one is of two Buddhist caves. The Hindu carvings and artwork mainly depict myths associated with Lord Shiva, like Trimurti – three headed Shiva, Gangadhar – River Ganga flowing down to earth, Ardhnareshwar – the androgynous form of Shiva and Parvati, Nataraj – Shiva performing Tandav dance form, Lord Shiva’s wedding, Lord Shiva killing Andhak, Yogeshwara and Shiva Linga. The east shrine is carved from cut with the scriptures detailing out Lord Kartikeya, Ganesha, Matrikas and Dwarpala while western shrine clearly shines with the Yogeshwara and Nataraj forms of Lord Shiva. 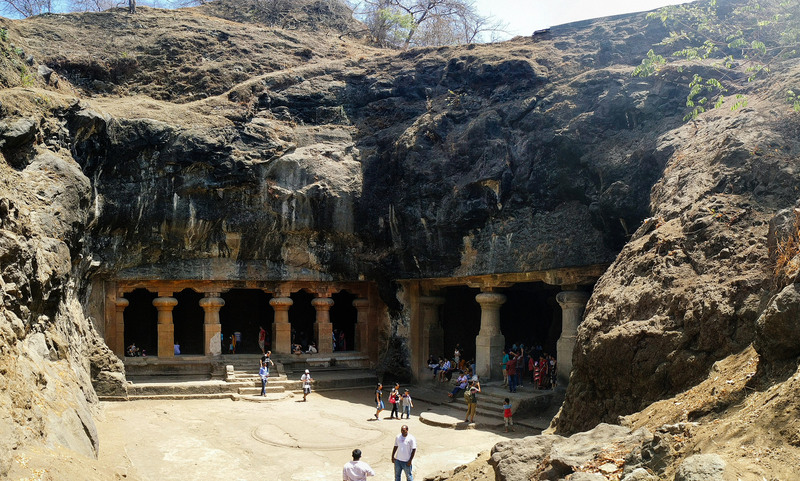 These caves from undetermined history are situated on Elephanta Island, as named by the Portugese. 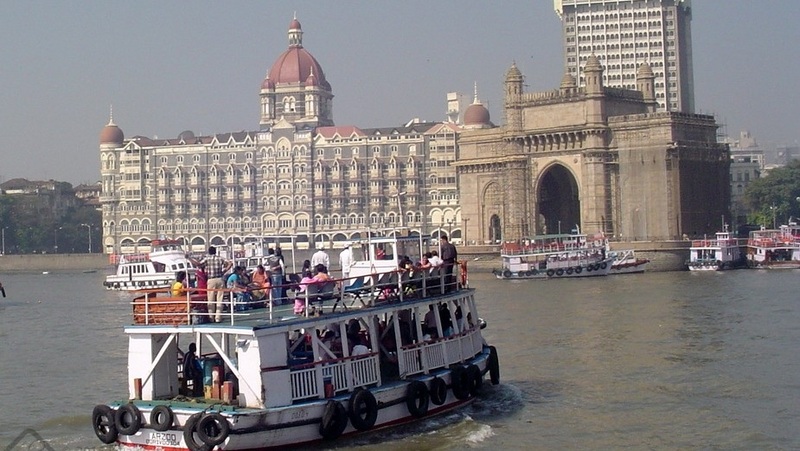 So, you have to take a boat ride from the Gateway of India. 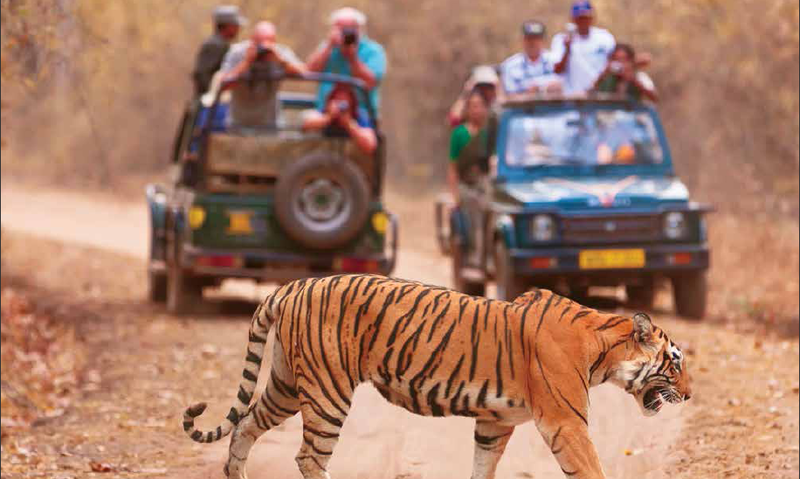 The boats are available from 9:00 in the morning until 14:00 hrs in the noon time, with prices from INR 130 – 150, based on your preferences. Undoubtedly, you can snap some awesome pictures while the boat glides through the Arabian Sea to the caves and while you do so, you may have some snacks as well! Since, you have to avail a boat ride, monsoons are to be avoided without a second thought! So November to February is the ideal period in a year. The caves are open from 9:00 – 17:30 hrs, with entry fees INR 10 for citizens of India, Afghanistan, Bangladesh, Bhutan, Maldives, Myanmar, Nepal, Pakistan, Sri Lanka, Thailand whereas INR 250 for foreigners. Charges for stills are nil and INR 25 for video. 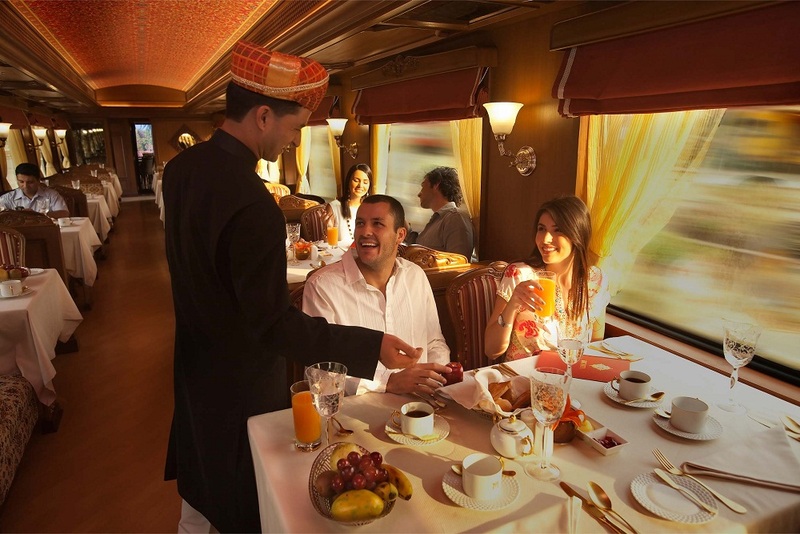 If you are taking a flight or train, Mumbai is your ultimate destination. Now, just grab local train to the Churchgate or CST Station. Now you may choose to walk or take a taxi to the Gateway of India. Then the amazing boat ride amidst the blue waters of Arabian Sea takes you to the majestic caves of Elephanta. 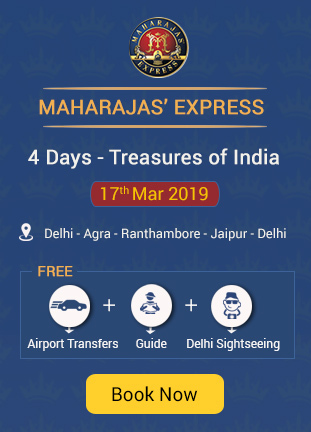 You can also choose the Maharajas Express train to reach the destination. A trip to the Elephanta Caves is a perfect combination of mythology and history amidst the scenic splendours of the island. So get ready for your trip to Elephanta!